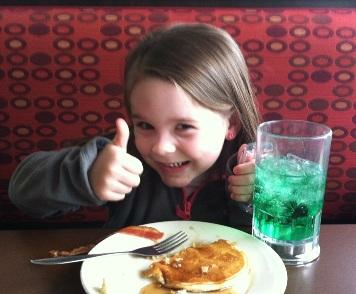 It's all Thumbs-Up for this young fan enjoying a meal from the Junior Menu. Dessert? It's Included with all non-Breakfast Junior Meals! The whole family can find a favorite to love at The Eatery in Lincoln. 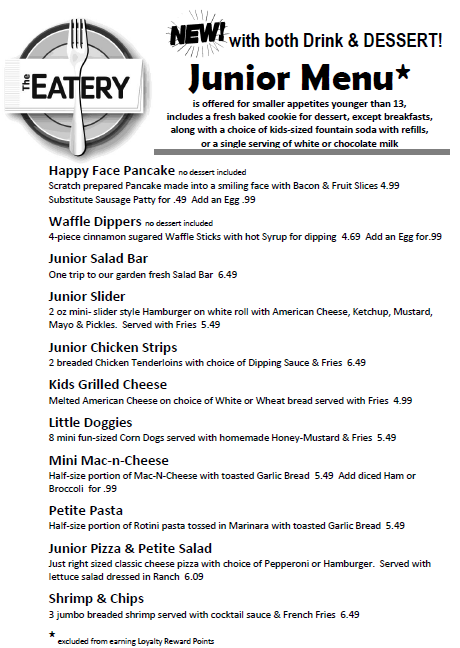 JUNIOR MENU is offered for smaller appetites younger than 13.